Assessment to Action is a guide to conducting private health sector assessments in developing countries. By providing key data on the size, scope, and activities of the private sector, these assessments help stakeholders develop strategies, make decisions, and design programs that will maximize private sector contributions to health, and facilitate greater public-private cooperation in health. Document Our Approach—Introduce a tested approach to conducting private sector health assessments. Support Ongoing Learning—Orient and train novice assessors, and promote knowledge-sharing and continued learning for experienced practitioners. Advance Practice—Document effective practices, ensure the success of future assessments, and advance knowledge in the area of private sector engagement. Galvanize Action—Ultimately, a private health sector assessment aims to encourage effective and appropriate engagement of the private sector in health. The intended audience for this guide includes donors and their implementing partners, Ministry of Health officials and other stakeholders interested in better understanding the private health sector. Users can peruse the site to gain familiarity with the assessment process, and view tips and examples from previous assessments, and then have the option of printing out pages of interest, as downloadable PDF files. The SHOPS approach builds on the collective experience of USAID-funded assessments, and typically begins with secondary data analysis, including demographic health data, national health accounts, Ministry of Health policies and plans and service statistics, and other available data. Primary data collection, including stakeholder interviews, addresses gaps in current knowledge. Assessments may take a broad approach, examining the health sector as a whole, or may focus on priority health areas such as family planning, HIV and AIDS or child health. Each private health sector assessment includes recommendations to more effectively leverage the private sector. The assessment helps foster dialogue on how to maximize the role of the private sector. Often, the dissemination of assessment findings and recommendations bring together for the first time public and private stakeholders to discuss private sector contributions to health and ways to strengthen public-private collaboration. Stakeholder engagement throughout the assessment process helps ensure that the recommendations are endorsed by all interested parties and are likely to be implemented. SHOPS has consolidated its approach into five key phases involved in a private health sector assessment—Plan, Learn, Analyze, Share, and Act. This website is organized around these phases, describing steps (a sequence), activities (specific tasks), and outputs (tangible deliverables) for each. Visit the Assessment Phases section of this site to access detailed guidance for each phase, along with the Resources section to view examples from past assessments, tips and best practices, interview guides and downloadable templates. Assessing the policy environment and related regulatory issues. The policy environment and the role the private sector plays is a critical part of the assessment. Examining existing legal and regulatory frameworks is critical to determining the extent to which the environment facilitates – or hinders – private sector delivery of products and services. 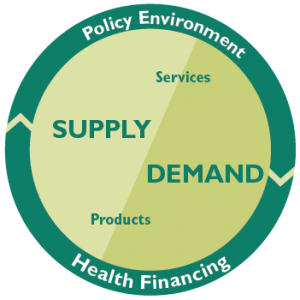 Identifying health financing opportunities and constraints. Understanding how private health services are financed — whether through out-of-pocket payments, health care insurance or third-party payment mechanisms such as contracting or vouchers – can reveal opportunities to reduce financial barriers and increase access to coverage among underserved populations. Documenting private provision of health services. The team documents the range of private providers and the health services they offer, to better understand their contributions and to gauge the need for expansion, improved linkages or quality enhancements. Quantifying human resources for health available in the private sector is typically part of this inquiry. Mapping the supply of health products in the private sector. Clearly identifying the supply chain for products and drugs available in the private sector, in light of government policies and oversight, can pinpoint bottlenecks and lead to increased access to essential medicines and products. Analyzing demand for priority health services and products. The assessment team gathers data to analyze existing and potential demand for selected health products and services from the private sector, and seeks to understand the main factors influencing this behavior. This analysis helps team members determine potential opportunities to increase utilization of priority health products and services from the private sector. SHOPS Plus is committed to upholding the USAID Gender Equality and Female Empowerment policy. Project outcomes will be stronger and more sustainable if gender is systematically addressed throughout the project. A user of the Assessment to Action guide will see gender-focused guidance woven throughout the five assessment phases. Consult the Resources section for a one-page resource entitled If You Do Only Three Things describing minimum standards for a gender-integrated private health sector assessment. USAID has long been a leader in seeking to better understand and maximize the contributions of the private health sector to address priority health needs in developing countries. 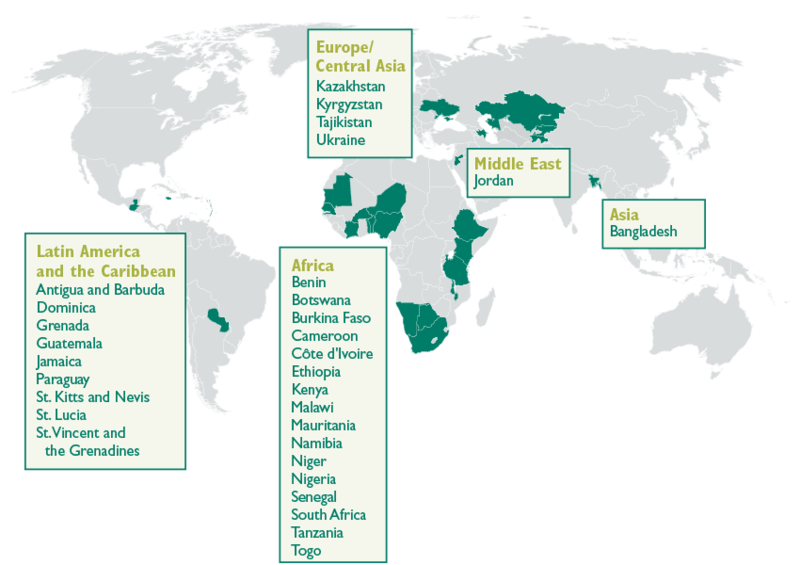 Private health sector assessments have been influential in creating a new body of knowledge on the size, scope, and activities of the private health sector in many countries around the world, and in fact have encouraged other donors and local governments to support similar efforts. USAID has supported more than 30 private health sector assessments since 2005. The SHOPS project alone has conducted 23 assessments since 2009, and, building on this collective experience, has standardized its approach in this online tool.